You must read Professor Diane Ravitch’s latest book, Reign of Error: The Hoax of the Privatization Movement and the Danger to America’s Public Schools. You won’t like it. No one likes reading about their failures. And that’s exactly WHY you should read it. Your legacy is at stake. You risk having Race to the Top known as Race to the Bank due to the enormous payday tech companies, “edupreneurs,” and charter chain operators stand to pocket from taxpayer money that instead should go to educating the nation’s children. In 2008, you were the bright shining hope of a nation tired of being lied to about the Iraq and Afghanistan wars. On whistle-stop campaign tours around the country, parents of young babies would hold them up to you for a candidate’s photo op. As a candidate and as President Obama, you’ve always had a way with kids. I have to believe you genuinely like and care about children. But even then the seeds for what Ravitch calls the Obama administration’s Reign of Error had already been sown. At the first meeting of Democrats for Education Reform (a group named in such a way that all but the word ‘for’ is misleading), you were a young State Senator from Illinois and in attendance. 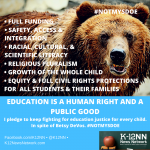 Democrats for Education Reform (DFER) would grow to represent the profiteering wing of self-proclaimed social liberals and fiscal conservatives with designs on the lucrative billions spent by all fifty states on K-12 public education. You would come to allow — or steer — some of the worst policies to undermine, weaken, and privatize public education through your appointee, Secretary of Education Arne Duncan. Those babies and toddlers you kissed grew up some, and are now entering kindergarten and first grade. In some states, children as young as first grade might be taking tests on art instead of actually creating art, or doing worksheets for “homework”. Under such age-inappropriate instruction, the joy and curiosity most children are born with seeps from their spirits like air from a balloon, the sparkle of excitement in their eyes and important questions like “why?” and “how?” stop. And their parents are MAD. Not at teachers, but at unending tests, one-size-fits-all data-driven instruction, forty and fifty kids per classroom, and important things still missing from the school day like art, music, physical education, science, history, and more. You see, that’s what Gen X parents grew up with — orchestra, marching band, jazz band, choir, three school plays a year, wood shop/industrial arts, school librarians and school nurses. ALL THAT IS GONE IN MANY SCHOOLS. Parents are mad because those who went to American public school decades ago know that our children are getting less now than we had then. That’s wrong. President Obama, parents, and teachers, are increasingly mad at YOU. How do I know this? I have skin in the game. My son, a fourth grader, started kindergarten at the beginning of the Great Recession. In fact, I’m writing this piece almost five years to the day that Lehman Brothers collapsed and almost brought down world financial markets with it. 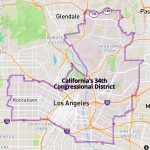 In California, my home state, the Great Recession meant cratering home values and the loss of both residential property tax revenue from recently purchased homes that were now under water, and Republican obstruction of an opportunity to renew vehicle taxes that had formerly helped fund education. In case you or Arne Duncan ever wondered why offers of several tens or even hundreds of million dollars never made California leap at the bait: our K-12 education budget is about $50 billion per year. Even $100 million is “only” a drop in the bucket. The entire amount of ARRA funds set aside for Race to the Top for the entire nation, $4.35 billion, is barely one-tenth of what California spends in ONE YEAR. Over the course of four years, we sustained $5 billion in deficits every year. That’s right: $20 billion in K-12 funds evaporated from the state’s schools over 5 years just as my son was starting kindergarten. Make no mistake, I do think you tried to alleviate some of the harm done by the Great Recession to the states as they attempted to meet their K-12 education budgets. And the dire circumstances states were in were not your fault. In some cases, ARRA funding that was given without strings kept children in many school districts cushioned from the worst of the economic shock. But ARRA money for basic operational expenses is long gone. What’s left are your policies. But three years in, Race to the Top hasn’t spurred states to address what really is behind students’ poor academic performance: poverty and the associated lack of opportunities that accompany it, said Elaine Weiss, national coordinator of the Broader, Bolder Approach to Education. Her group advocates for a more targeted focus on poverty over the current slate of education reforms involving testing and accountability. Diane Ravitch’s exhaustively researched book explains why. Twenty chapters detail almost every aspect of how Race to the Top worsened the quality of education that teachers must teach and students experience every day in the classroom when combined with No Child Left Behind’s emphasis on incessant high-stakes testing. The first four chapters lay out the narrative that corporate privatizers of public schools need in order to thrive: public education is in crisis and doomed to failure. Such a sweeping generalization simply isn’t true. The next five chapters of Ravitch’s book carefully lay out how the evidence and studies do NOT bear out claims of what test scores show or measure, that what’s said about the “achievement gap” is wrong given that wealth and achievement most closely correlate, how international test scores of American school children are scary but deceptive, and more puncturing of statistical hooey about high school and college graduation rates (both up), and finally what the effects of poverty are on children and their ability to achieve. The chapter on poverty is probably one of the most important chapters in the book. The idea that Obama hasn’t done much for poor Americans is simply not true; by some measures, he has done more than any other recent president. But [Bob] Herbert is right that Obama has stopped talking publicly about the subject. Obama hasn’t made a single speech devoted to poverty as president, and if you visit barackobama.com these days, you would be hard-pressed to find any reference to the subject whatsoever. As a result, he is missing — so far, at least — an important opportunity to change and elevate the national conversation on poverty. What we know about poverty, and specifically about its effect on children, has shifted markedly in the last few decades. New ideas are emerging from the fields of economics, neuroscience and developmental psychology. Four years ago, Barack Obama was the one politician in Washington who seemed attuned to those ideas and most concerned about addressing them. And the intellectual journey that led him to these new ways of thinking about poverty started in Roseland. The Promise Neighborhoods program exists, but it is a small item tucked away in the discretionary budget of the Department of Education. Rather than devoting “a few billion dollars a year,” his administration [as of 2012, the date of the article’s publication — Ed.] has spent a total of $40 million on the program in the last three years, with another $60 million in grants going out to community groups later this year. We’ll come back to this, because it’s this derailing from your agenda to end poverty that forms the basis for Ravitch’s prescriptions for how we should transform public education later in the book. In Chapters 11 through 15, Ravitch dismantles some popular myths about teachers — “accountability” (standardized tests that students take were NEVER meant to measure teacher effectiveness), “stack ranking” disguised as “value added measures” (stack ranking utterly failed at Microsoft too), or incentive pay (works for salesmen but destroys crucial cooperation among teachers), “lifelong tenure” (what due process is for and teaching as in need of free speech protection), and why seniority is important, as it would be for any other profession where skill and experience increases with time spent honing one’s practice. Particularly important is her critique of Teach for America. Bright, idealistic students coming though that program are given 5 weeks of training and no certification, as opposed to several years that teacher credential programs require for certification. Singled out for special scrutiny is Michelle Rhee, a divisive, polarizing figure who has a thin record and what there is of it is marked by the scandal of perverse incentives yielding what you’d expect: teachers erasing wrong answers on standardized tests so students could appear to show improvement and teachers and principals could be rewarded with cash. You may not see it from your Washington DC bubble, but most of the rest of us find her rhetoric rote, hollow, and completely devoid of anything a real parent or student would want from their educations. Parents and students are not technocrats. We measure success by many yardsticks. Our children are three-dimensional quirky beings to us, not numbers, data, or statistics. Chapters 16 through 20 detail the corruption charter schools, so-called “virtual charter homeschools,” gimmicky laws like parent trigger (astroturf “parent tricker”, rejected twice by the entire state of Florida’s actual parents), and conservative hobbyhorses like vouchers enjoy as predatory billionaires motivated by the New Markets Tax Credit work to turn an important part of the public sector and a democratic institution into a chain of cheap McSchools in the name of free market fundamentalism. With charter and voucher schools, completely unregulated self-dealing opportunists hover over distressed neighborhoods and vulnerable communities already torn apart by drug addiction, incarceration, crime, poverty, and other ills. To top it off, your Chief of Staff in your first administration, Rahm Emanuel, now mayor of Chicago, is chief hatchet man who enacts painfully disruptive school closures in your old home town. These are all the fruit of your policies, President Obama. The remaining third of Ravitch’s book details what we should do. The answers are time-honored and yet we can’t seem to summon the will to persevere and continue our War on Poverty. When it comes to pre-natal care, the Affordable Care Act will hopefully insure more pregnant to help them get early preventive care. Children are now covered to the age of 26 — if their parents have a family insurance plan. This is no small feat, and I give you full credit for achieving it in the face of unbelievable racist obstruction. Yes, we need high-quality universal preschool. The public overwhelmingly wants this according to bipartisan voters surveyed in July, 2013. As recently as August, 2013, you called for universal preschool and made provision for it in your 2014 federal budget. Schools need to be better, yes. But better teachers and higher expectations can’t on their own alter the pervasive influence of an entire neighborhood. And so the president could do what he pledged to do in Anacostia in 2007: create more programs that take on, in a direct way, the family dislocations that are holding many poor children back, like home-visiting programs for parents, intensive early-childhood education targeted at the most disadvantaged families and mentoring programs for teenagers, like YAP. You know what works. Yet it’s a source of extreme exasperation to me that you allow the very policies that are the linchpin of your approach to education — data-driven standardized testing, unchecked charter growth, and false linkage of student test scores to teacher measures of effectiveness — to instead funnel money to the wrong priorities and enable profiteers to siphon public money from the education of all kids. Charter schools are not magic bullets. They re-segregate by race and income. They provide a convenient means for grifters to set up sweet kickback land-lease deals, self-dealing to family members, and ways to pay themselves above market salaries for below regular school district results. They create a two-tiered system of schools — much like George Orwell’s Animal Farm, where “all animals are equal but some animals are more equal than others.” What a triumph of deregulation. You hastened this, you created an atmosphere where profiteers can fatten at the trough of the New Markets Tax Credit that enables hedge funders and venture capitalists to laugh as they Race to the Bank all while they benefit from Race to the Top. (This is where I strongly disagree with Diane Ravitch’s belief in chapter 26 that charter schools could be a positive force if they returned to Albert Shanker’s vision of laboratories for experimentation. Sorry, no. In-district public magnet schools, community schools, and alternative schools exist to perform these functions. In-district magnet schools have the additional potential of being a tool of de-segregation. I know I’m supposed to be friendly with perfectly nice parents who have their children in charter schools, but all the things that Ravitch argues are flawed about them don’t go away when charters are nice mom-and-pop non-profit schools. As we know, non-profit rules are so lax that often the non-profit charter sub-contracts out with many for-profit companies and this opens the door to self-dealing. It also makes administrative functions more expensive since charters don’t take advantage of public school district economies of scale. This is more a problem that I have with Ravitch’s self-contradictory stance on charters than a battle with charter school parents, who I believe really do just want their kids to thrive. I believe we need to step up the ability for in-district magnet, community, and alternative schools to respond to community demand. And there are examples of this responsiveness which I’ve documented. Public schools cannot be allowed to create a two-tier system where some schools that receive taxpayer money are exempt from serving ALL the children in a given area. We don’t create specialty DMVs to only serve drivers of luxury cars, or only “good” drivers. Parks don’t only serve healthy people, or outdoorsy people, they serve everyone who wants to visit one. Charter schools are an unfunded mandate and the near-inescapable trajectory for almost all of them is this: they outgrow their original space, they seek similar facilities from an existing neighborhood public school, then a divisive and strife-laden co-location results with parents and students antagonized. That’s because states have greenlit creation of charter schools — caps on their number lifted under Race to the Bank, remember — but have never correspondingly funded facilities for them. States have not been able to meet their financial obligations to existing schools. Why then are additional schools created that overburden the system? Compared with students in other public schools, [PSC] students are less likely to drop out, more likely to graduate, more likely to go to college, and more likely to stay in college. The consortium schools are unusually successful in educating students who are English language learners and students with disabilities. Such long-term, real-life outcome are better indicators of school success than tests scores. (Reign of Error: The Hoax of the Privatization Movement and the Danger to America’s Public Schools, p. 272). In California, Governor Jerry Brown made the same pitch for high-quality student and teacher assessments that are performance or presentation or portfolio oriented as well. Notice how these approaches enrich students, not curriculum or testing or textbook companies. Make class sizes small. This is the single biggest factor in student success that schools can control as study after study demonstrates. Low-income, English language learner, and special ed children need small class sizes even more urgently than children who don’t face these hurdles. Treat teachers as the professionals they are. Make entry into teacher training programs more rigorous, make the credentialing process much like doctors or lawyers who must keep current on best professional practices, and reward higher degrees. Increase pay, make a distinct career ladder clear so that master teachers can have adequate time to mentor and coach new teachers, and draw top administrators from the ranks of teaching professionals and not business or other realms. Schools that are struggling to meet the needs of their students would get frequent visits. Schools that are successful would require fewer inspections; some might get a visit only once in three or four years. The evaluation team would make recommendation to help schools improve and send in support personnel as needed. The goal of the evaluation should be continuous improvement, not a letter grade or threat of closure. (Reign of Error: The Hoax of the Privatization Movement and the Danger to America’s Public Schools, p. 272). We parents and community members who care about public education must keep local neighborhood schools publicly and locally controlled for the common good. We must embrace all opportunities to run and elect strong candidates who have deep roots in the community, preferably with children in the selfsame district schools, and who will conduct themselves with integrity and transparency to keep children’s interests first. Publicly-elected school boards are our laboratories for democracy and local governance. We should cherish this important forum for shaping the community’s schools, and not allow moneyed interests to stack school boards with lobbyist-beholden candidates or replace school boards with appointed bodies. 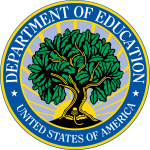 Professor Ravitch says that the U.S. Department of Education “should reclaim its mantle as an agency whose fundamental mission is to promote equality of educational opportunity…equity for needy children”; it should “sponsor first-rate [non-partisan] research, and advance educational policies that are supported by research and evidence” (Reign, p. 284). I totally agree. Federal government has overstepped the bounds when it comes to state and local responsibilities to shape public schools and public school policy, and it’s also abandoned its mission of ensuring equitable education across the states. Get back to that mission. You’ve unleashed a slew of evidence-less, unproven, untested policies on school districts when they were most vulnerable. Maybe because you see how well a data-driven approach works to run and win campaigns, you feel biased to favor “data-driven” instruction of students and evaluation of teachers. A campaign has a clear-cut result. A child’s education has far more variables and involves MUCH more than a test score. Are they a good human being? Do they understand the rights and responsibilities of civic participation? Can they work cooperatively with people who are from backgrounds different than their own? Professor Ravitch once espoused the very policies she now refutes. It takes courage to admit that you were wrong, fundamentally and deeply wrong, about so many policies that you had once invested great personal and professional stakes in defending. You, too, must admit you were wrong. You must make amends. If you come away from reading her latest book with the resolve to do that, then her efforts and the voices of millions of teachers, parents, and students united in her constructive critiques of public education will have been for good. President Obama, read this book. Then be the change you were looking for in Roseland, Chicago — and for every other public school in this country. See other posts that review Diane Ravitch’s Reign of Error: The Hoax of the Privatization Movement and the Danger to America’s Public Schools.